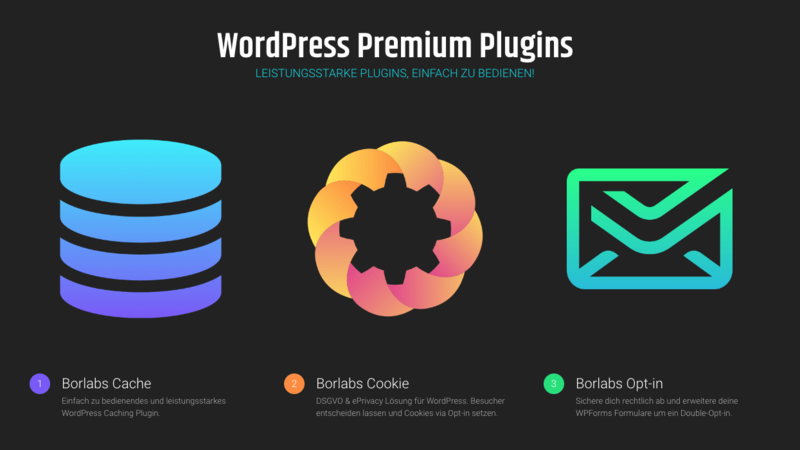 POWERFUL PLUGINS, EASY TO USE! Easy to use and powerful WordPress Caching Plugin. GDPR & ePrivacy solution for WordPress. Let visitors decide and set cookies via opt-in. Add a double opt-in routine to your WPForms forms. At irregular intervals you will receive information about our products. You can unsubscribe the newsletter at any time free of charge.